This item is sold out and no longer available. Please see our other selection of Christmas tracts. With artwork by Kinkade, Pastor Adrian Rogers clearly points to Jesus as the true Light of Christmas. Christmas is about light! We love to sing the Christmas carol, "Silent Night." But this great hymn is not about night or darkness. It's about the Light. The third stanza of "Silent Night" says, "Son of God, love's pure light. Radiant beams from Thy holy face, with the dawn of redeeming grace." We sing another Christmas carol, "Hark! The Herald Angels Sing." The last stanza invites us to "Hail the heaven-born Prince of Peace! Hail the Son of righteousness! Light and life to all He brings, risen with healing in His wings." We sing at Christmas because we have something to sing about! Light has come into the world, and we don't ever need to walk in darkness again! Are you walking in spiritual darkness today? Recognize that you are a sinner, that you can do nothing to save yourself, and ask Jesus, the Light of the World, to come and be Lord and Savior of your life. The good news is that if you look to Him, He will shine His light into your heart! The Babe of Bethlehem is the Light of the world. He will remove your spiritual darkness with the glory of His wonderful presence if you will only ask Him. Dear God, I know I am a sinner and desperately in need of Your forgiveness of my sins. I need the light of Your love to shine through my spiritual darkness. I understand that I can only receive this forgiveness through the Babe of Bethlehem, your Son, Jesus Christ, who died for my sins and rose from the dead that I might spend all of eternity with You in heaven. Right now I ask Jesus into my life to be my Savior and Lord. In Jesus' name I pray, Amen. Thomas Kinkade, the "Painter of Light," is a committed Christian and uses his art to point to the Author of Light�Jesus Christ. In his painting Stonehearth Hutch Kinkade uses the familiar symbols of wreath and tree to herald the coming of Christmas Day. He also uses other symbols to express the spirit of the season. The lone, rough-hewn stone cottage represents the rock of faith. Outside there is only the solitude of the woods�with no carriage track or footprint to hint at human comfort. But inside is a golden light, suggesting the hope of Christmas. The odd little path, winding and slippery, leads to the cottage door. Kinkade's prayer is that "Stonehearth Hutch will communicate to many, in a language as universal as Christmas wreaths, yet as deeply as faith." Art: Stonehearth Hutch � Thomas Kinkade, Media Arts Group, Inc., San Jose, CA. For more information about the artist call 1-800-366-3733. 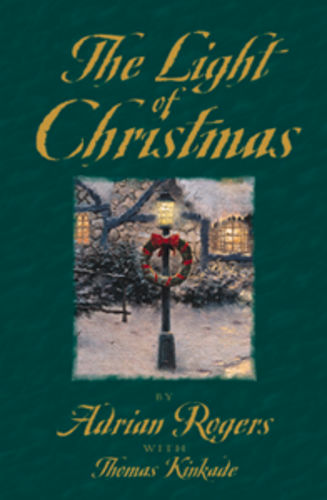 Text adapted from the book Family Christmas Treasury by Adrian Rogers � 1997 by Crossway Books.